Recent productions include Death and the Maiden and Misery for the National Theatre of China in Shanghai and Beijing, Bryony Lavery’s adaptation of Treasure Island for the National Svenska Theatre, Helsinki and The Rocky Horror Show for Stage Entertainment in Hamburg. In Seoul, South Korea he has directed Picasso’s Women and Ariel Dorfman’s Dancing with Shadows. He directed the European premier of Dirty Dancing in Germany which went on to play in London, Holland, Canada and the US. In Paris he has directed Genet’s The Maids and Vita and Virginia. In Holland, his production of Joseph and his Amazing Technicolour Dreamcoat ran for over 2 years. In London, productions include: Picasso’s Women for Ambassadors Theatre Group; Jean Cocteau’s Take The Fire with Olivier Award Winner, Amanda Harris at The Lyric, Hammersmith; a trilogy of plays by the poet Glyn Maxwell, Anyroad, Broken Journeyand The Lifeblood and Walton’s opera The Bear at Battersea Arts Centre. He worked with The Pet Shop Boys on the West End musical Closer the Heaven and was the Resident Director for Andrew Lloyd Webber’s Whistle Down The Wind. In 2001 he joined Littlestar, the international producer of the hit musical Mamma Mia!and has, to date, directed productions in Germany, Sweden, Holland, Korea, Japan, Spain, Russia, Finland, Italy, Austria and the first western musical to be presented in Mandarin in China, as well as an English language International and UK Tour. 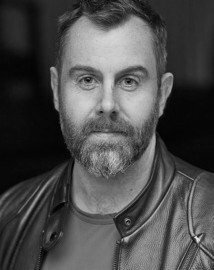 He began his career with The Royal Shakespeare Company as an assistant director and worked with Sir Peter Hall, Adrian Noble, Stephen Pimlott and Ian Judge. He was the Artistic Director of the company’s Off The Hook Festival at The Young Vic Theatre in London, directing new plays Broken Journey and The Mothers and also directed the British premier of Eric Emmanuel Schmitt’s La Nuit De Valognes at The Other Place in Stratford-upon-Avon. He lead the company’s world tour of A Midsummer Nights’ Dream and was the Associate Director for The Secret Garden in Stratford and the West End. As part of the RSC’s education programme, he has directed Shakespeare workshops in Hong Kong, Japan, Australia, New Zealand and across the UK. Awards include a Golden Mask for Best Director for Mamma Mia (Sweden); Korean Tony Award for Dancing with Shadows and in Holland a nomination for the Joop Van Den Ende Special Award for Mamma Mia and Dirty Dancing.